Jeez...are you living in my brain? I do this every single day. ..and that's why i love math! 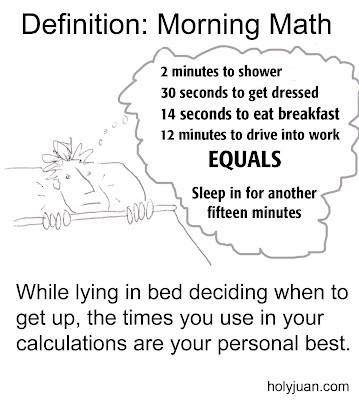 I do this every morning, but I've already overslept by 30 minutes.